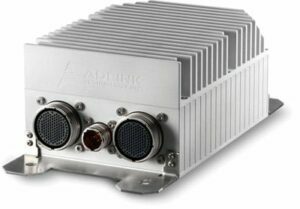 ADLINK, a leading developer of embedded computing solutions designed for demanding military environments, has partnered with Unmanned Systems Technology (“UST”) to demonstrate their expertise in this field. The ‘Platinum’ profile showcases how their rugged computing platforms can be utilised in a wide range of mission-critical applications, such as on board UAVs (unmanned aerial vehicles), UGVs (unmanned ground vehicles) and other robotics systems. ADLINK’s Extreme Rugged™ SBCs (single board computers) and sub-systems are conformal coated and undergo additional rigorous testing at every stage, and are designed to comply with MIL-STD specifications, including MIL-STD-810, MIL-STD-202, MIL-STD-883, MIL-STD-461 and GJB 150. The PC/104 family of small form factor Extreme Rugged™ Single Board Computers features durable construction with fanless operation over temperature extremes, resistance to shock and vibration, conformal coating, embedded BIOS, and long product life. COM Express computer-on-modules, available in a variety of pinouts and form factors, are ideal for Internet of Things (IoT) applications where data may need to be collected, stored, processed and then compressed and transmitted for further action. 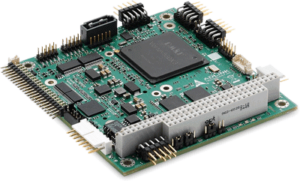 The plug-and-play embedded computing functionality of these modules make them ideal for use in UAVs, UGVs, AUVs and other unmanned systems. Modules are available in Types 2, 6, 7 and 10, with available sizes (depending on type) in Basic (125 x 95 mm), Compact (95 x 95 mm) and Mini (84 x 55 mm). ADLINK’s high-performance VPX multi-processor products, including processor and GPGPU (general-purpose graphics processing unit) blades, are designed for military embedded systems in applications such as unmanned aircraft systems (UAS) payload computing and ISR (Intelligence, Surveillance and Reconnaissance), where strict size, weight, and power (SWaP) constraints must be adhered to without compromising processing power. The HPERC series of COTS computing platforms features fast IO and 3rd generation Intel® Core i7 CPU and optional GPGPU parallel processing, all in a tiny VITA-75 footprint. The construction of the HPERC series incorporates a highly efficient thermal transfer design that maintains high performance in the space-constrained environments of unmanned systems. Applications for the HPERC series include unmanned ground vehicles (UGVs) that undertake image processing for mission-critical tasks such as IED detection and disposal.